This was such a fun readathon, and a great way to kick off a new year! Although I wasn’t able to read a book from each of the seven prompts – I never really thought I could read that much in two weeks, anyway – I am quite proud of the progress I made. Thank you, Aentee @ReadatMidnight for hosting the Dumbledore’s Army Readathon! I choose a story by Elie Wiesel since our family is Jewish. Review here. This was the first time that I have read a fiction book featuring a transgender character. This was an excellent read. Review here. I did not read a book for this category. 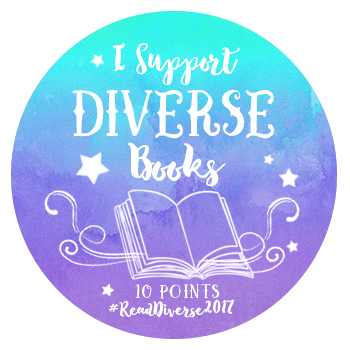 Although almost all of the books that I selected could be considered #OwnVoices, with the exception of Ms. Marvel. I’m not sure if/how superhero books could be classified as #OwnVoices, but the writer is Muslim. I hope this isn’t bending the rules, but since these comics were so short, I counted four of them towards one prompt. The Ms. Marvel series keeps getting better and better! Review here. Reading a book from a teen boy’s perspective is definitely outside of my usual book choices, and I’m really glad I stepped outside of my “comfort zone” to read this one! Review here. I don’t know about stunning the internet, but this Newbery Honor Book definitely lives up to the hype! Review here. I did not read a book for this category. Total House Points: 179 house points for Ravenclaw!